On February 6, 2018, the federal government announced amendments to the Fisheries Act (the “Act”) aimed at restoring what it describes as ‘lost protections” and “incorporating modern safeguards” to protect fish and fish habitat. The Act, regarded as one of Canada’s principal environmental laws as it is the primary federal statute governing fisheries resources in Canada, includes important provisions for conserving and protecting fish and fish habitat that affect a variety of industries. The proposed amendments result from a process launched by the government in October 2016, when the Minister of Fisheries and Oceans asked the House of Commons Standing Committee on Fisheries and Oceans (the “Committee”) to review changes to the Act made in 2012 by the previous government of then Prime Minister Stephen Harper. The Report of the Fisheries and Oceans Committee on the Fisheries Act review, entitled “Review of Changes Made in 2012 to the Fisheries Act: Enhancing The Protection of Fish And Fish Habitat and the Management Of Canadian Fisheries” (the “Fisheries Report”) was released on February 24, 2017 and made 32 recommendations to the government. In June 2017, the government released its Environmental and Regulatory Reviews Discussion Paper, which outlined potential reforms and proposed, among other things, that “lost protections” be restored in the Act. Under the proposed amendments, the scope of the Act will be increased to cover all fish, rather than commercial, Indigenous and recreational fisheries (as currently set out in the Act). Unsurprisingly, the government proposes to reintroduce the pre-2012 prohibition on the “harmful alteration, disruption or destruction of fish habitat“, also known as HADD. This means that the concept of “serious harm to fish” under the current Act will be removed. By reintroducing the HADD language, the federal government is also reintroducing old uncertainty in the case law about what precisely constitutes a HADD; whether this will be addressed in guidance from Fisheries and Oceans Canada (DFO) remains to be seen. The proposed amendments also include a new requirement to consider cumulative effects, along with increased regulatory powers to amend, suspend, or cancel authorizations. In support of reconciliation efforts, the proposed amendments also provide opportunities to increase the role of Indigenous groups in decision-making under the Act and in managing fisheries and fish habitat. It does not appear that the pollution provisions in section 36 (prohibiting the deposit of deleterious substances) of the Act will be changed, even though they have long created a scientifically questionable prohibition on the deposit of any substances deemed to be deleterious without regard to their quantity or the actual receiving environment. Protecting Fish and Fish Habitat: The federal government is proposing the restoration of protections for fish and fish habitat that were lost with changes in 2012. In particular, it is proposing that all fish and fish habitats be protected, and that the previous prohibition against “harmful alteration, disruption or destruction of fish habitat” be restored. In addition, the federal government is proposing to restore a prohibition against causing “the death of fish by means other than fishing” and to introduce a new requirement to make information on project decisions public through an online registry. Better Management of Projects: The federal government is proposing the development of regulations that clearly define which projects would always require ministerial permits before a project can begin. In particular, it is proposing that projects that would always require ministerial permits be called designated projects, which would be identified based on their potential impact on fish and fish habitat. These are expected to be larger-scale projects. Currently, projects requiring authorization under the Fisheries Actare determined on a project-by-project basis. DFO surmises that the concept of a designated project would provide greater certainty for proponents around process and timelines. DFO’s current practice of issuing letters of advice and ministerial authorizations will continue for projects that are not listed as designated projects. In addition, the federal government is proposing the establishment of new authorities to support the development of codes of practice, which will serve as formal guidance documents for small, routine projects such that, if followed, permits or authorizations are not needed. The actual value of such codes of practice has been the subject of uneven experience in other environmental legislation. However, the codes of practice should, it is anticipated, provide advice to project proponents on how to avoid impacts on fish and fish habitat, and ensure compliance with the Act. Restoring Habitat and Rebuilding Fish Stocks: In order to create more stable and resilient aquatic ecosystems and support the sustainability of fish stocks, the federal government is proposing that DFO be required to consider whether proposed development projects give priority to the restoration of degraded fish habitats. In addition, the federal government is proposing to introduce a requirement to create and publish habitat restoration plans on a public registry after designating an area as ecologically significant where habitat restoration is needed. The Minister will also be given the ability to create regulations related to the restoration of fish habitat and the rebuilding of fish stocks. Reconciliation with Indigenous Peoples: The federal government has stated that proposed changes to the Fisheries Act will help to advance reconciliation with Indigenous peoples by, among other things: (i) requiring consideration of traditional knowledge for habitat decisions and adverse effects on the rights of Indigenous peoples when making decisions under the Act; (ii) enabling agreements with Indigenous governing bodies to carry out the purposes of the Act; and (iii) introducing a modernized fish habitat protection program that would enhance partnering opportunities with Indigenous communities regarding the conservation and protection of fish and fish habitat. It should be noted that DFO’s efforts to help advance reconciliation is taking place within the broader federal government review of laws and policies related to Indigenous peoples, which was initiated in February 2017. Not all fish and fish habitat protected; only those related to a commercial, recreational or Aboriginal fishery protected. Protection of all fish and fish habitat. No explicit reference to consideration of the rights of Indigenous peoples, and their unique knowledge, to inform decision making. Provided Indigenous traditional knowledge must inform habitat decisions. Requirement to consider adverse effects of decisions on the rights of Indigenous peoples. Ability to enter into certain agreements restricted to provinces and territories only. Added ability to enter into agreements with Indigenous governing bodies as well as provinces and territories. No provisions regarding the independence of inshore licence holders. Provisions allowing for recognition of social, economic and cultural factors, as well as the preservation or promotion of the independence of licence holders in commercial inshore fisheries. Enabling regulations to support independent inshore licence holders. No tools to quickly implement in-season fisheries restrictions to address unforeseen conservation and management issues. Ability to put in place targeted short-term measures to quickly and effectively respond to unforeseen threats to the management of fisheries and to the conservation of fish. Uncertainty as to when authorizations are required for development projects. Clarity on which types of projects require authorizations through permitting and codes of practice. Lack of transparency regarding authorization decisions for projects; no requirement to publicly release information on these decisions. Requirement to publicly release information on project decisions through an online registry. No tools to address long-term marine conservation. Ability to create long-term area-based restrictions on fishing activities to protect marine biodiversity. No specific provisions to address whales in captivity. A prohibition on fishing cetaceans with intent to take them into captivity unless authorized by the Minister in circumstances where the animal is injured, in distress or in need of care. No legal requirements related to rebuilding fish stocks. Minister must consider whether stock rebuilding measures are in place when making a fisheries management decision that would impact a depleted stock. Enabling regulations respecting the rebuilding of fish stocks. Antiquated provision for the management offences under the Fisheries Act, often leading to costly and long court processes. Ability to address Fisheries Act offences outside of court using alternative measures agreements, which reduces costs and repeat offences. No provisions to restore degraded habitat as part of development project reviews. Provisions to consider restoration priorities as part of development project reviews. Insufficient capacity to enforce provisions under the Act. Enhanced enforcement and monitoring capacity on the water and for projects. We will continue to monitor and provide commentary as the proposed amendment legislation makes its way through Parliament. DFO has indicated that regulations and policies are now being developed in consultation with Indigenous groups, provinces and stakeholders to support the implementation of the amendments. Like a lot of environmental legislation, the true impact of the new Fisheries Act will only be meaningfully gauged once its regulations are published. The British Columbia government is moving forward with the second phase of spill regulations, announcing further stakeholder engagement on important elements, such as spill response in sensitive areas and geographic response plans. The government will also establish an independent scientific advisory panel to recommend whether, and how, heavy oils (such as bitumen) can be safely transported and cleaned up. 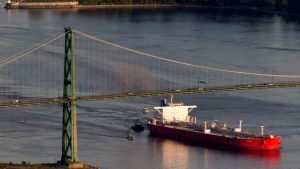 While the advisory panel is proceeding, the government is proposing regulatory restrictions on the increase of diluted bitumen (dilbit) transportation. The second phase engagement process follows the first phase of regulatory overhaul introduced in October 2017, when the Province established higher standards for spill preparedness, response and recovery. The Province is planning an intentions paper for the end of February 2018 that will outline the government’s proposed regulations and will be available for public comment. restrictions on the increase of dilbit transportation until the behaviour of spilled bitumen can be better understood and there is certainty regarding the ability to adequately mitigate spills. This second phase was planned follow up to the October 2017 regulations. Many of the proposed regulatory changes have been part of ongoing stakeholder discussions for the past few years. However, the prospect of permanent restrictions or a ban on the increased transportation of dilbit off the coast of B.C. and the prospect of further regulatory recommendations from the independent scientific advisory panel creates uncertainty for Canada’s oil sector. The government’s emphasis on environmental concerns related to bitumen and its recent initiatives to restrict oil exports to allow time for more study of marine impacts will further fuel the national discourse on how to export Canada’s oil to international markets from the Pacific Coast. This article was first published on the Bennett Jones LLP website. As reported in LaPresse, the Quebec Environment Minister, Isabelle Melancon, recently announced that the Quebec government will soon begin a pilot project to improve the “traceability” of contaminated soil from construction sites. 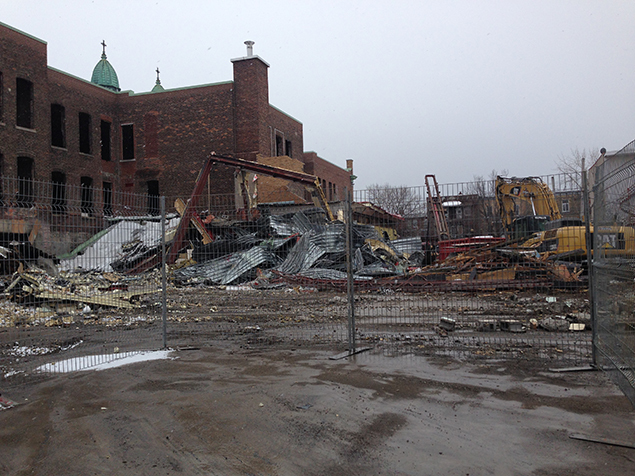 An earlier story in LaPresse stated the provincial authorities lost track of 3,000 tonnes of contaminated soil from a the Baril School in Hochelaga-Maisonneuve. Management of the soil had been taken over by the company of a former Hell’s Angels partner, OFA Environment Management. Soils were to be shipped to a Quebec-based company, accredited by the Quebec Ministry of the Environment. Instead, they were moved to another company with the same name, but located near East Hawkesbury, Ontario. The firm apparently operated from a place that does not have an address. There is no prohibition on shipping contaminated soil to Ontario, where the rules governing their treatment are less stringent than in Quebec. But in the case of the Hochelaga-Maisonneuve school, the contract specified that the floors were to be arranged in accordance with the Quebec law, according to the company in charge of supervising the construction site. “We can not pretend that nothing is happening,” said Melançon at the end of a meeting of the Council of Ministers. Last fall, La Presse revealed that “highly contaminated” soils had been dumped illegally on the banks of the Achigan River in Sainte-Sophie, in the Laurentians. Quebec is currently in talks with potential suppliers to set up a “traceability” program. The pilot project should be launched shortly. ASTM International recently updated its Phase I environmental site assessment standard for assessing large rural and forestland properties. This Standard Practice for Environmental Site Assessments: Phase I Environmental Site Assessment Process for Forestland or Rural Property, E 2247-16 (2016 rural property standard), replaces a 2008 version, numbered E2247-08. Purchasers of real property who intend to use the rural property standard for a closing on or after March 14, 2018, must use the 2016 standard. Proposed purchasers seeking to establish the innocent purchaser, bona fide prospective purchaser or contiguous property owner defenses under the Comprehensive Environmental Response, Compensation and Liability Act must comply with the United States Environmental Protection Agency’s (U.S. EPA’s) All Appropriate Inquiries (AAI) standard at 40 C.F.R. pt. 312 prior to the purchase of the property. While purchasers may follow the AAI criteria set forth in the regulations, most purchasers follow either the E1527-13 Phase I standard (defined below) or the 2008 rural property standard when performing pre-purchase Phase I environmental site assessments, as both standards are specifically identified in the regulation as satisfying AAI. Effective March 14, 2018, the 2016 rural property standard replaces the 2008 standard for use in meeting AAI under EPA’s regulation. (Purchasers of real property who intend to use the rural property standard for a closing before March 14, 2018, however, may still use the 2008 standard.) This change is of particular importance to solar and wind projects proposed for large tracts of rural and farmland property, as it allows for less rigorous onsite assessment than the site visit requirements used for assessing commercial and industrial properties, Standard Practice for Environmental Site Assessments: Phase I Environmental Site Assessment Process, E 1527-13 standard. Since Phase I environmental site assessments originated in 1986, the review of large rural and forestland properties has been difficult and time-consuming due to the site reconnaissance requirements alone. The 2008 rural property standard alleviated some of the difficulties in the site reconnaissance requirements for assessing large rural tracts of property, as more particularly described in an earlier summary. The 2016 rural property standard adds updated terminology that is used in the companion E1527-13 standard, but more importantly, changes some language that limited the more widespread use of the 2008 version. First and foremost, the 2016 rural property standard eliminates the somewhat arbitrary 120-acres-or-more size requirement for use of the standard and simply requires the property to be “forestland” or “rural property.” The standard includes a much broader definition of rural property, allows some alternative sourcing for agency records, and designates a specific time limit of 20 calendar days for receipt of materials requested by the consultant for review in completing Phase I. The 20 calendar days requirement offers the benefit of an outside time limit, but also ensures that a Phase I environmental site assessment will take at least 20 days to complete if requested documentation is not received earlier. The 2016 rural property standard also relaxes some of the site visit criteria. As reported by the Associated Press, Crumbling mine tunnels awash with polluted waters perforate the Colorado mountains and scientists may one day send robots creeping through the pitch-black passages to study the mysterious currents that sometimes burst to the surface with devastating effects. One such disaster happened at the inactive Gold King Mine in southwestern Colorado in 2015, when the United States Environmental Protection Agency (U.S. EPA) accidentally triggered the release of 3 million gallons of mustard-colored water laden with arsenic, lead and other toxins. The spill tainted rivers in three states. Now the U.S. EPA is considering using robots and other sophisticated technology to help prevent these types of “blowouts” or clean them up if they happen. But first, the agency has to find out what’s inside the mines, some of which date to Colorado’s gold rush in the 1860s. Wastewater laden with toxic heavy metals has been spewing from hundreds of inactive mines nationwide for decades, the product of complicated and sometimes poorly understood subterranean flows. Mining creates tainted water in steps: Blasting out tunnels and processing ore exposes long-buried, sulfur-bearing rocks to oxygen. The sulfur and oxygen mix with natural underground water flows to create sulfuric acid. The acidic water then leaches heavy metals out of the rocks. To manage and treat the wastewater, the U.S. EPA needs a clear idea of what’s inside the mines, some of which penetrate thousands of feet into the mountains. But many old mines are poorly documented. Investigating with robots would be cheaper, faster and safer than humans. “You can send a robot into an area that doesn’t have good air quality. You can send a robot into an area that doesn’t have much space,” said Rebecca Thomas, project manager for the U.S. EPA’s newly created Gold King Superfund site, officially known as the Bonita Peak Mining District. Instruments on the robots could map the mines and analyze pollutants in the water. They would look more like golf carts than the personable robots from “Star Wars” movies. Hao Zhang, an assistant professor of computer science at the Colorado School of Mines, envisions a battery-powered robot about 5 feet long with wheels or tracks to get through collapsing, rubble-strewn tunnels. Zhang and a team of students demonstrated a smaller robot in a mine west of Denver recently. It purred smoothly along flat tunnel floors but toppled over trying to negotiate a cluttered passage. 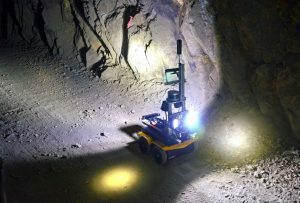 A commercial robot modified to explore abandoned mines — including those swamped with acidic wastewater — could cost about $90,000 and take three to four years to develop, Zhang said. Significant obstacles remain, including finding a way to operate remotely while deep inside a mine, beyond the reach of radio signals. One option is dropping signal-relay devices along the way so the robot stays in touch with operators. Another is designing an autonomous robot that could find its own way. Researchers are also developing sophisticated computerized maps showing mines in three dimensions. The maps illustrate where the shafts intersect with natural faults and provide clues about how water courses through the mountains. The U.S. EPA also plans to drill into mines from the surface and lower instruments into the bore holes, measuring the depth, pressure and direction of underground water currents. Tracing the currents is a challenge because they flow through multiple mines and surface debris. Many tunnels and faults are connected, so blocking one might send water out another. “You put your finger in the dike here, where’s the water going to come out?” Thomas said. Once the U.S. EPA finishes investigating, it will look at technologies for cleansing the wastewater. Options range from traditional lime neutralization — which causes the heavy metals dissolved in the water to form particles and drop out — to more unusual techniques that involve introducing microbes. The choice has consequences for taxpayers. If no company is found financially responsible, the EPA pays the bill for about 10 years and then turns it over to the state. Colorado currently pays about $1 million a year to operate a treatment plant at one Superfund mine. By 2028, it will pay about $5.7 million annually to operate plants at three mines, not including anything at the Bonita Peak site. The U.S. EPA views the Colorado project as a chance for the government and entrepreneurs to take risks and try technology that might be useful elsewhere. 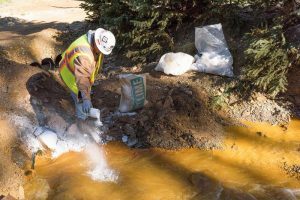 But the agency — already dealing with a distrustful public and critical politicians after triggering the Gold King spill — said any technology deployed in Colorado will be tested first and the public will have a chance to comment before decisions are made. A book on the developments in environmental law in Canada during 2017 was recently published by Thomson Reuters. Edited by Stanley D. Berger of Fogler Rubinoff LLP, the book includes a number of interesting chapters related to contaminated sites and the issues raised in the Midwest Properties Ltd. v. Thordarson (“Midwest”) court case. The Midwest case is part of a possible trend in Canada toward awarding damages based on restoration costs rather than diminution in value. If nothing, else the Midwest Case has introduced uncertainty to the law of damages in contaminated sites cases. How defence counsel might prevent similar awards in the future, and how plaintiff’s counsel might use the case to obtain significant damages for their clients. An interesting point raised by Ms. Mullins in her contaminated sites chapter is that in recent court cases, highlighted with Midwest, court decisions may be paving the way for plaintiffs to recover very significant damage awards for the contaminated of their sites that grossly exceed their actual loss and, in certain circumstances, may be completely unwarranted. Ms. Mullins questions if the Midwest decision has created the potential for litigants to profit off purchasing contaminated sites and for defendants to face double jeopardy following judgment at trial. The book is available at online for $144 (Cdn.). As reported by the Compliance Center, the December 13, 2017 edition of the Canada Gazette II contains the expected rewrite of Part 11 “Marine” requirements of the Transportation of Dangerous Goods Regulations (TDGR). In addition, there are related changes in other parts, as well as some unrelated miscellaneous changes in other areas. The most wide-reaching change, although perhaps of relatively minor significance to the general regulated community, is the replacement of the term “ship” with “vessel”. This, among other changes, is to update the TDGR to current Canada Shipping Act (CSA, and related regulations) terminology. Many aspects of Part 11 related to the CSA had not been updated since 2008. This differs from the TDGR definitions for road and rail vehicles which expressly exclude “muscle power” as a means of propulsion. Other definition changes include elimination of the reference to “short run ferry”, previously defined in TDGR Part 1.3 as operating between points “not more than 3 km apart”. TDGR 1.30 special case exemption now refers only to “Ferry,” but describes within the exemption that it’s applicable to operating between two points “not more than 5 km apart. Other aspects of dangerous goods vessel shipment are also found in these CSA regulations. Additional requirements now apply also to ferries regarding passenger vessel limitations, location of shipping documents and incident reporting. Schedule 1 Column 8 restrictions regarding carrying DG on passenger vessels is further clarified by TDGR Part 1 sections 1.6 and new special case 1.10. Gasoline and propane now have a Part 1 special case exemption 1.30.1 to facilitate fuel deliveries and reduce the need for equivalency certificates. UN3156 is also now permitted in 25 L quantities on passenger vessels. Mercurous chloride (calomel) is no longer included in the s. 1.46 special case exemption list. The requirement to mark the flash point on packages with Class 3 contents (s. 4.13) has been removed as it was never an IMDG requirement. Additionally, the often-confusing reference to “Home Trade Voyages” in determining the applicability of the IMDG Code, versus the “standard” TDGR extension of ground requirements, has been replaced by a direct, simplified explanation. Voyages where the vessel (oops – I almost said ship!) is within 120 nautical miles – i.e. 222 km- from shore are considered non-IMDG unless the vessel travels south of the ports of New York or Portland, Oregon, or to another foreign destination. Thus, vessel transport of dangerous goods to St. Pierre and Miquelon (territories of France), despite being within 20 km or so from Newfoundland, require compliance with IMDG. Inland (mostly “fresh water”) voyages between Canada and other countries – e.g. Great Lakes or rivers to the US – remain excluded from mandatory IMDG compliance. Conversely, vessels registered in Canada but transporting between two foreign destinations, remain under IMDG requirements. Changes not directly related to Part 11 topics include correction of some typographical and miscellaneous errors in the TDGR or website html information. Examples include re-entering the PG II information for UN1790, UN2734 on the website; editing SP 159 to clarify that the new Class 9 Lithium Battery label illustration is only used for labels and not used for placarding purposes – standard Class 9 placards are used (as is the case in air, ocean and US 49 CFR); and updating ICAO references in Part 12. The Table in 5.16 has been repealed due to the updates in the referenced CSA standards. As reported in the Windsor Star, it has taken almost seven years for a municipal brownfields development incentive program to take hold in the City of Windsor, immediately across the Detroit River from the City of Detroit. In the last several months, applications to the Brownfield Redevelopment Community Improvement (CIP) Plan have been steadily streaming in — seeking grants to help fund feasibility and soil studies, and then even more money to help pay for the pricey cleanup. If they become realities, these developments could add up to hundreds of new residences on: the former GM Trim site on Lauzon Road; a collection of former industrial properties between Walkerville and Ford City; and most recently a large property near Tecumseh Road and Howard Avenue that for 50 years was the home of Auto Specialties, a manufacturer of malleable castings and automotive jacks for the auto industry. Greg Atkinson, a senior planner with the city who co-ordinates the Brownfields CIP program, said it’s “awesome news” that investors are finally taking advantage of this “great incentive package.” The reason they’re jumping aboard now, he said, is that Windsor’s land prices have risen and residential vacancy rates have declined to the point where developing these cheaper brownfield properties now make financial sense. Almost 140 sites across the city have been identified as brownfield properties, covering 559 acres. “Historically, there has been little interest in redeveloping brownfield sites due to the uncertainty surrounding the extent of contamination and the potential cost of cleanup,” says a city report that goes to the city’s planning, heritage and economic development standing committee Monday. It says one redeveloped brownfield acre saves 4.5 acres of farmland on a city’s outskirts from being developed, and that for every dollar invested in brownfield redevelopment, $3.80 is invested in the community. The most recent application is from THMC Windsor, for a $7,000 grant to pay half the cost of a feasibility study on the viability of redeveloping part of the massive parking lot behind the medical buildings at Howard and Tecumseh into a residential project. Auto Specialties operated on the 12.5-acre site from the 1920s to the 1970s. 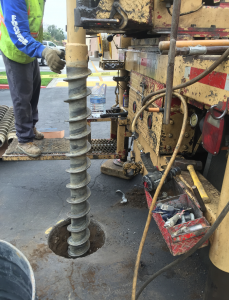 The next grant THMC could apply for provides up to $15,000 to cover half the cost of soil and groundwater testing for possible contamination. Then if the owner decides to go ahead with cleanup, the Brownfield Rehabilitation Program compensates for the cleanup costs by effectively freezing taxes where they are (versus what they would rise to when the site’s redeveloped) for the first 10 years. There’s even a big break on development fees. “It really does cover a lot of costs,” Atkinson said of the program. Of the 15 applications to the program since 2010, 13 have come in the last 22 months. Grants have totalled $1.9 million, leveraging $16.9 million in private sector investment, according to the city. The earliest and most prominent success happened at a former gas station property at Dougall Avenue and West Grand Boulevard, which was turned into a small commercial development with the help of $67,000 in city grants. The former Wickes bumper plant — now run as a big UHaul operation, also was rejuvenated thanks to $1.5 million worth of grants. A former gas station at Riverside Drive and Marentette Avenue has been cleaned up and readied for redevelopment. 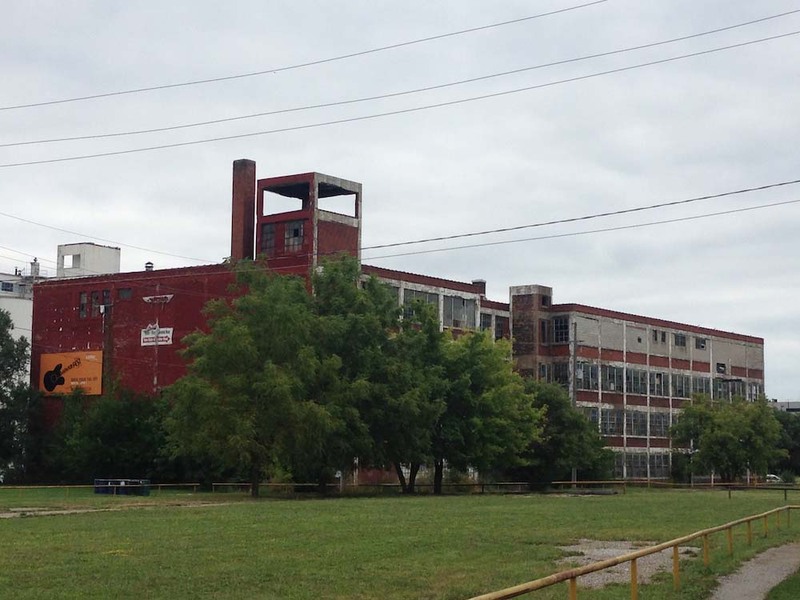 And earlier this year, the Sood family received study grants to redevelop the former Seagrave fire truck plant property on Walker Road into about 12 townhouses and turn 17 acres of largely vacant industrial land south of Edna Street, west of St. Luke Road and north of Richmond Street into between 200 and 250 residential units. On Monday night, council approved grants totalling $32,000 to help pay for three feasibility and environmental studies costing $97,000 for the 60-acre former GM Trim site. The current owner Farhi Holdings has plans to redevelop the site into a commercial-residential project with about 240 residential units. Dilkens said there’s clearly a demand for residential development in the east side of the city where Farhi’s land is located, and replacing the derelict site with a new housing project would benefit the entire area. 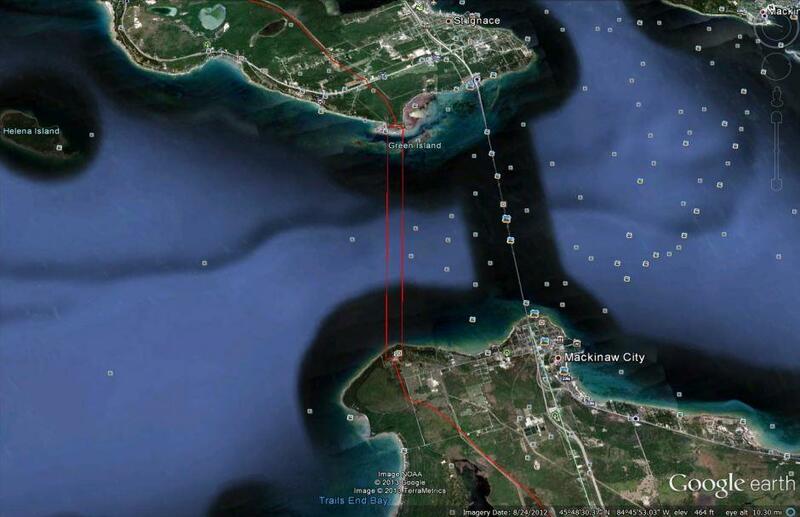 As reported in the Maritime Executive, Canadian pipeline operator Enbridge is engaged in a debate with environmental groups over the operation of an underwater pipeline that runs beneath the Straits of Mackinac, the narrow waterway between upper and lower Michigan. Last month, Enbridge reached an agreement with Michigan state government that allows it to continue operating the line, except during weather conditions that would interfere with a spill response. The agreement defined poor weather as wave heights over eight feet. In return, Enbridge promised to study the possibility of replacing the line – which sits above the surface of the lakebed – with a pipe buried in a tunnel. The firm said that it would also look at measures to reduce the risk of damage to the current pipeline from boat anchors. Recently, Michigan’s Pipeline Safety Advisory Board called for the Governor of Michigan to shut down the line until repairs are made to areas where the exterior protective coating is missing, they are not sure if the repair will need more than a swivel flange installment, or more extensive repairs. It also requested that State Government’s deal with Enbridge be revised to allow pipeline operations only when waves are three feet high or under. Local environmental advocates contend that these measures do not go far enough. These ativists say that the board and the governor did not take into account a prominent feature of wintertime navigation on the Straits of Mackinac: ice. The Coast Guard is the only entity in the region with icebreakers, and its vessels are usually busy ensuring the safety of navigation during the wintertime. In the event of a spill, the service says, the nearest icebreaker could be up to two days away. In congressional testimony last month, Coast Guard Commandant Adm. Paul Zukunft said bluntly that his service is not prepared to handle the worst-case scenario for pipelines like Line Five. “I will go on the record and say that the Coast Guard is not Semper Paratus [always ready] for a major pipeline oil spill in the Lakes,” he said. Enbridge says that Line Five’s dual 20-inch pipelines remain in excellent condition and have never experienced a leak in their 60 years of operation. The line is used to transport natural gas liquids, light crude oil and light synthetic crude, and it supplies most of Michigan’s propane. “We’re committed to the letter and spirit of this important agreement [with the governor], and to the options outlined in the agreement that move us to a longer-term set of decisions about the future of Line Five,” said Enbridge spokesman Guy Jarvis, speaking to Michigan Public Radio.